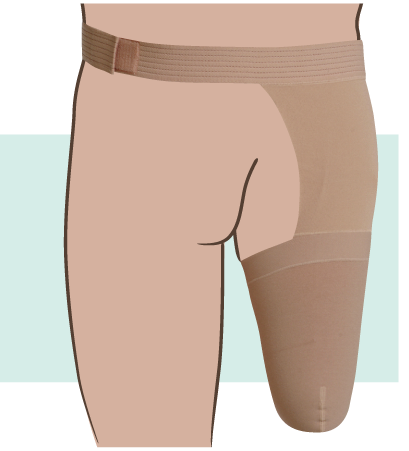 Juzo Dynamic Above the Knee Stump Shrinker with Hip Attachment 30-40 mmHg, manufactured by Juzo, are shinkers for amputees designed to maintain the shape of the stump through a moderate level of compression. These Amputee Stump Shrinkers are perfect for anyone with sensitive skin due to a lay flat seam that will not cause irritation under compression. The Juzo Varin (dynamic) material is soft and comfortable to wear, so that this Stump Shrinker Sock is perfect wearing all day. 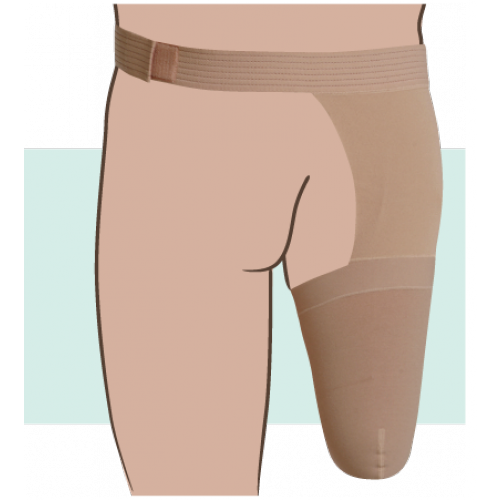 Juzo Dynamic Stump Shrinker 30-40 mmHg have a moderate compression rating. Moderate compression is ideal for reducing swelling associated with amputations. Unlike some other Stump Shrinkers, these feature a hip attachment that ensures that the shrinker will not slide down during the day. Hip Attachment Keeps Shrinker in Place. Soft Material is Perfect for Sensitive Skin. Juzo Dynamic Above the Knee Stump Shrinker Product Numbers: 3512FGSHAI, 3512FGSHAII, 3512FGSHAIII, 3512FGSHAIV, 3512FGSHAV, 3512FGSHAVI, 3512FGMHAI, 3512FGMHAII, 3512FGMHAIII, 3512FGMHAIV, 3512FGMHAV, 3512FGMHAVI, 3512FGLHAI, 3512FGLHAII, 3512FGLHAIII, 3512FGLHAIV, 3512FGLHAV, 3512FGLHAVI, 3512FGEHAI, 3512FGEHAII, 3512FGEHAIII, 3512FGEHAIV, 3512FGEHAV, 3512FGEHAVI.